Three months ago I done a photo series on my blog, writing a little mini-blog about a different photo every day throughout August. It was quite popular so I’ve decided to do a similar thing for the next 30 days – 30 photos of 30 different Turkish foods! I’m starting mid-month this time, so it will go on until mid-December as I know the end of the month will be too busy! So, 30 Days, 30 Dishes – Today, it’s Pide! 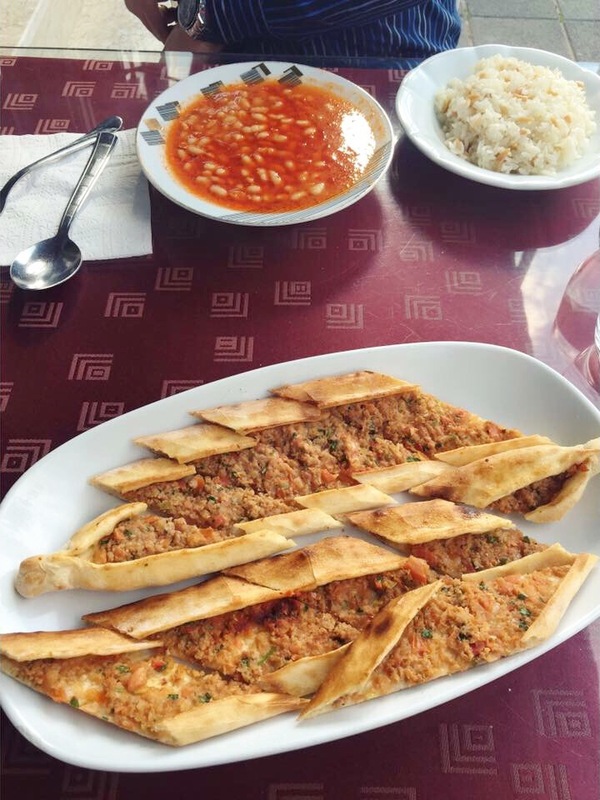 Pide is basically a dough base in a stretched out oval shape with a topping and folded over edges. It’s similar to a pizza, but it doesn’t have the usual tomato puree on top. Toppings can vary, but my favourite is kıymalı (mince & onion) but I also like the lamb, or spinach and cheese. They usually ask if I want egg on top, which is a weird concept to me, egg on pizza? I tried it once and it wasn’t bad – as long as it’s cooked well and not runny! Berkay’s brother is actually a pide chef, so over the years I’ve had a few made by him, which are particularly delicious! Other than from him, my favourite place to get them from are the lokanta’s in and around Fethiye. 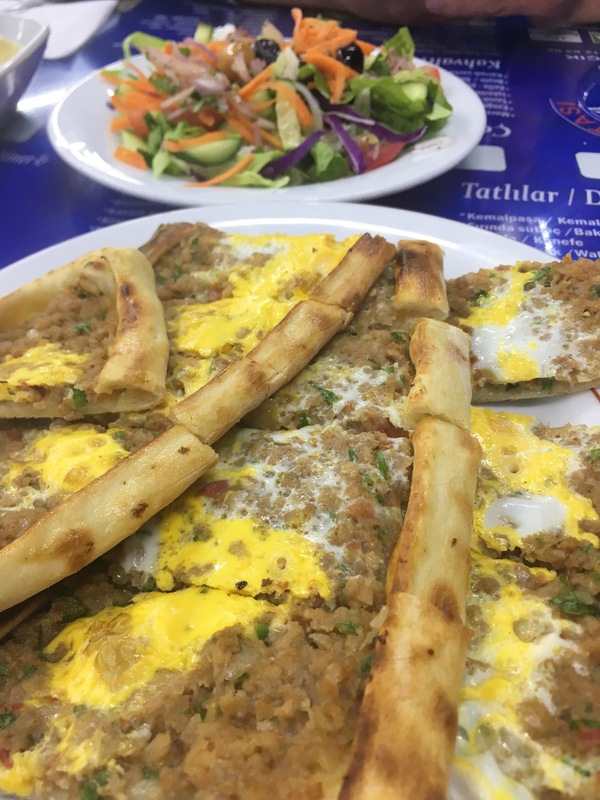 Pide is usually served with some fresh salad. So cheap and so delicious too! Yum! My favourite! The year we lived there, I ate pide and a salad and a sutlac every day for lunch. I never got tired of it. Every once in a while I’d order a patlican yemegi over rice (work paid for our lunches) and I’d enjoy it, but I would miss my pide. I wish I could get some here! Aww I love it too. I’ve had it in London in a restaurant called Tas Pide, was about £15… bit of a price difference lol!